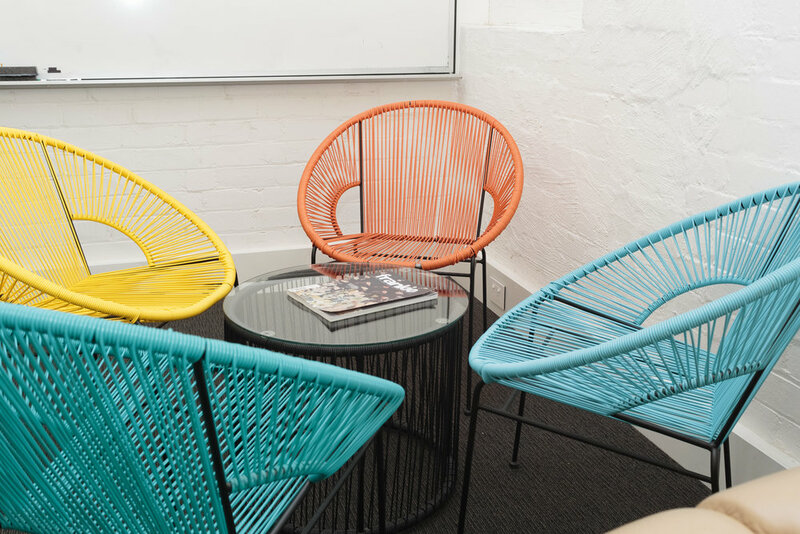 75 Reid St - Venue Hire & Co-Shared Workspace. This beautifully restored 1920's church building space is lovingly curated by the Fitzroy North Community Church who are passionate about the life of the neighbourhood. Featuring a large auditorium and multiple smaller rooms, 75 Reid St is a dynamic space that hosts a wide variety of activities - from concerts and weddings to yoga and workshops. The venue is located just a stone's throw from Edinburgh gardens and easily accessible by public transport. In addition to event hire, 75 Reid St also hosts a co-shared workspace called The North Collective, with desks accessible 24/7 and a great community of free-lancers, small businesses and not-for-profits. Have a look around and feel free to contact us if you have any questions. From 3 to 300 people, we have a room to meet your needs. Get productive with The North Collective.